Announcement Welcome to the Little Whatnot Shop, a place to find a special variety of handmade paper goods, fabric crafts, and crafting supplies alongside vintage collectibles. Thank you for stopping in! Please start a conversation if I can help with anything. Welcome to the Little Whatnot Shop, a place to find a special variety of handmade paper goods, fabric crafts, and crafting supplies alongside vintage collectibles. Connie is talented, creative, highly innovative, and kind. She goes above and beyond for her customers. I have purchased several orders and am more impressed each time. I recommend giving an idea only of what you want..she'll take it, run with it, and make your creation better than you originally envisioned. Strongly recommended. You will not be disappointed. Really cute and well made card. I like the color combination. Very creative and the owner is a pleasure to work with. I highly recommend purchasing her products. A set of custom-order Christmas penguin cards with varying insides. 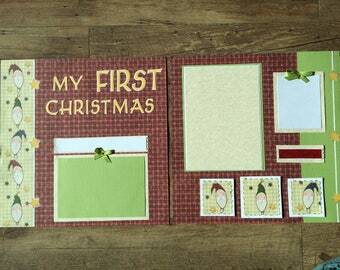 Snowy winter/Christmas cards with embossing, gems, paper, and stamped images. A special embossed 70th birthday card made for a friend. I'm a detail-oriented night-owl editor who works to play. I'm passionate about my hobbies, especially crafting and antiquing/thrift shopping. :) I live in Ohio's beautiful Amish Country and enjoy country wanderings and spending time with my family and my cats. Concerning my crafts, I do scrapbooking, card making, cross-stitch, some sewing, quilting, pulled thread, jewelry making, painting, and other random projects. I will occasionally have crafting supplies for sale as well as finished projects of all kinds. I showcase my love and knack for details in everything I make. Some of the earliest cards in my shop were made by or alongside my mother-in-law. I taught her how to make cards while she worked through a breast cancer diagnosis, and she loved encouraging others with her creations. We created a card line called "Holding Onto Hope" because she had trouble finding cards to send to those who were struggling. Though her cards have now sold, I will continue the line in her memory, as she has gone onto her eternal reward. She always knew where her true hope was. 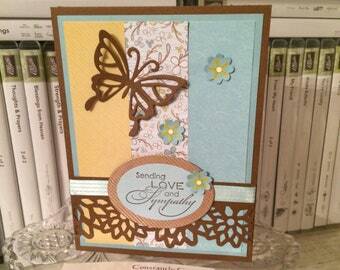 Each of the cards in my Hope line will display the word "hope" and may also include a Scripture verse. Thanks so much for visiting my Little Whatnot Shop, named so because you never know what you'll find in here! I appreciate your interest. Feel free to contact me via Conversations with questions, comments, or custom-made orders. Have a beautiful day! I'm a freelance editor who loves to craft, shop, and go antiquing. I do a variety of crafts like scrapbooking, quilting, jewelry, and painting - anything could be reflected here for sale. 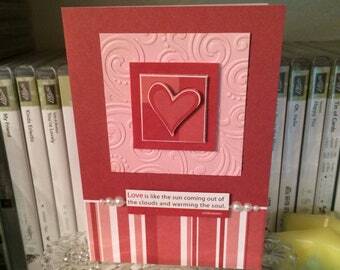 I have cats, and I create cards, scrapbook layouts, and 3D mixed media projects.